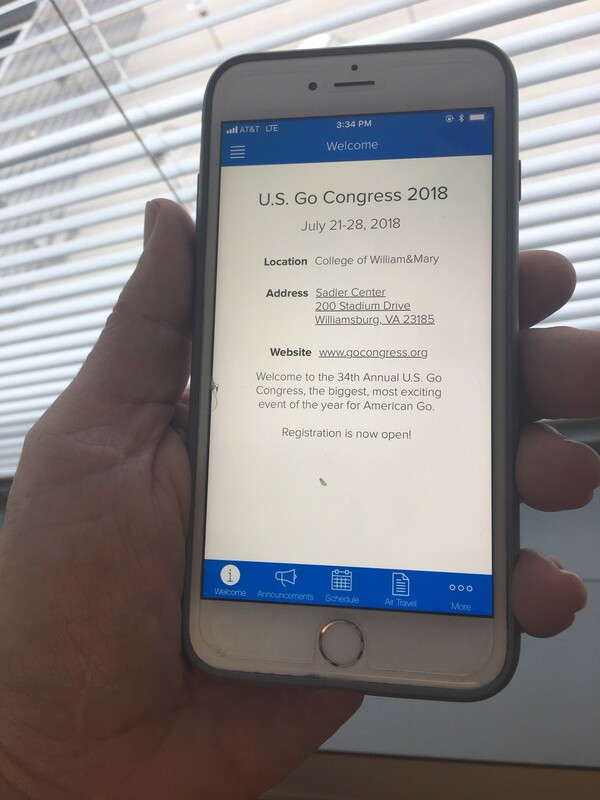 With registration for the 2018 US Go Congress in Williamsburg, VA now open, the Congress team has just released a companion app for either iOS or Android devices. The app complements the information found on the Congress website with pages for scheduling, travel information, staff contacts, social and much more. Click here now to download. The app will be continually updated with new pages such as pro biographies and information between now and the Congress, and will be a source of live information at the Congress. You can see what the overall 2018 Congress schedule looks like in the app today with placeholders for events and lectures that will be filled in as they are confirmed. Once the schedule is finalized, a My Schedule feature will be turned on that allows each attendee to build their personal Congress schedule of events.